Welcome to my Ulm picture gallery page! It contains photos I took during my half year long stay (Sep 2005 - Feb 2006) in the city as an Erasmus exchange student at the Ulm University. All pictures are shrunk versions of their orignals. If you would like to have an original version, please mail me the picture name. The Ulmer Munster (Ulm Cathedral) has a very high tower, the tallest in the world - 161m, and this tower is accessible to the public. After climbing 768 steps, one will reach almost the top of the tower - 149m. The view is breath taking. One would say, that Oktoberfest is not something for those who do not drink (like me), but that is not true, at least for stay only one afternoon long. 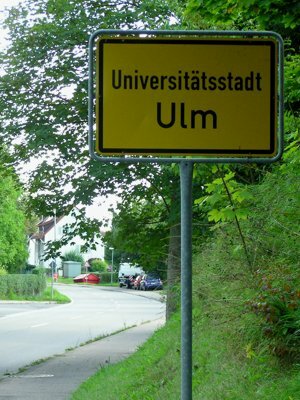 The University of Ulm is infact very large complex of loosely connected modern buildings partially hidden in the forests above the city of Ulm. Set of railroad related pictures. Graphical records from the trip to the land of fiary tale like castle. 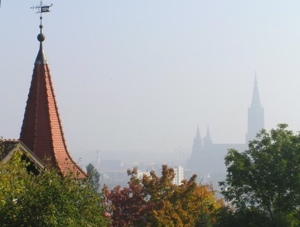 Few autumn views of the city of Ulm. Sveral pictures from the München before Christmas. These do not contain any Christmas Market pictures, because none are needed, just imagine about 4 people on 1 m^2. Pictures from a very sad place. Pictures from my trip to Zurich on the 17-18th December 2005. This is the city where my friend Alexandra who invited me (and together with her boyfriend very graciously hosted, I would like to say agian many thanks) lives. It's beautiful. 3 Pictures which did not fit anywhere else. Pictures from my skiing trip on the Friday the 13th (January 2006). Pictures from my skiing trip to the Oberstdorf. 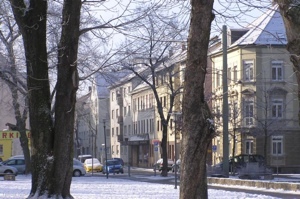 Pictures from the snow covered Ulm.